Indian real estate market is expected to witness an upswing in the year 2016. Several policy reforms by the central government coupled with growing GDP, controlled inflation, low fiscal deficit and improving liquidity are expected to bring some good news for the industry. 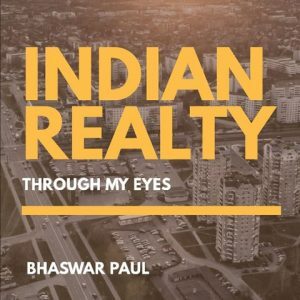 The Indian real estate market has been in a state of inertia with low sales volume and prodigious demand-supply mismatch for the last four years now. The years 2013-15 were particularly very non-productive for the sector with unsold inventory in all top metros hitting the roof and sellers finding a hard time to get good buyers. While factors like artificial inflation of residential inventory in certain cities, and crumbling infrastructure in others are to be blamed; pan-India factors like a change of government in 2014 and falling GDP prior to that also acted as major spoilers. While analysing the city-wise growth, one realises that big metros like Delhi NCR and Mumbai failed to perform well during the year and reached new lows with unsold inventory troubling the developers and demand-supply further mismatch dampening realty sentiments. However, there were some cities like Bangalore and Pune which basked in the glory of developments like emerging affordable hubs, expansion of commercial sector and presence of IT/ITeS industries. Major policy announcements in 2015 Multiple government initiatives announced during 2015 hinted for a better housing sector. Mega missions such as ‘Housing for All’, AMRUT and Smart Cities are expected to infuse some life into the otherwise defunct realty sector. As these projects move from the proposal stage to reality, the Indian real estate market is up for brighter days in the coming years and all the stakeholders – developers, end-users, buyers and sellers can breathe a sigh of relief. Housing for all: This ambitious project is expected to produce over 20 million housing units by 2022 and the biggest beneficiaries of this development will be real estate sector and sectors like cement, steel and iron that supply raw materials to the construction industry. AMRUT: Launched by the Prime Minister in April this year, AMRUT or the Atal Mission for Rejuvenation and Urban Transformation (AMRUT) is intended to handle urban planning and housing expansion in an all-inclusive manner. The scheme is designed to include residential projects in 500 cities throughout the country so that even the small towns get a fair chance and improve their infra and housing status. Smart Cities: The proposed development of 100 Smart Cities in the country is expected to provide abundant opportunities to the real estate developers, who will not only have to focus on technology-driven homes but also affordability and lifestyle quotient. This will, in turn, surge sales volumes by attracting more buyers. The commercial growth The year 2015 witnessed the commercial sector getting good traction post June. Relaxation in foreign direct investment (FDI) norms, RBI reduction in interest rates, the ‘Make in India’ campaign and amendment of the Companies Act, 2015 instilled positivity in the industry. Some major acquisitions and expansion have taken place in the last two quarters of 2015 in cities such as Bangalore, Hyderabad, Mumbai and Pune. There is definite optimism about long term prospects of Indian real estate sector. Numerous FDI, NRI and PE players have entered the Indian real estate market in the year, owing to weakness of the Rupee as against Dollar and cheaper cost of borrowings. This trend is expected to continue in 2016 as well. To add to the list of positives that 2015 can boast of, several central government initiatives also improved India’s stance in Global Competitiveness Index and World Bank’s Ease of Doing Business Ranking in the country in the last one year. In addition to this, the recent downturn in China’s market along with high labour cost present elsewhere, is also working in favour of India. It is heartening to note that Indian economy is on a recovery mode – from hovering around 5 per cent for the past many years to a projected figure of approximately 7.5 per cent in the current year. The future outlook Even the residential market is expected to revive in the following year. With the Indian Real estate purchase sentiment index improving by 2.5 points in last quarter of 2015, it is suggestive that more consumers are planning to purchase homes within the next 6-12 months from now. While the year 2015 has set the base, 2016 is expected to shower the return of feel good factor for the industry at large. The year 2016 may see a trend of developers majorly catering to the mid to lower housing segment as capital values are expected to stabilize given the policies initiated by government in housing all Indians by 2022. But at the same time it is believed that the demand for luxury housing will augment, as income levels continue to escalate coupled with high ambitions of home buyers. Overall, the coming year is expected to end the extended sluggishness that the Indian real estate market was plagued with and the industry is expected to tread on the path of gradual growth. At the same time, the future of the industry as a whole will depend on the implementation of government initiatives and policy changes.